As Monday rolls along, taking us to our second giveaway of the day is Cooler Master. The case & cooling & peripherals firm has sent along a selection of prizes, including multiple keyboard sets, a 120mm closed loop liquid cooler, and a micro-ATX case. So there’s plenty of chances to win this afternoon. 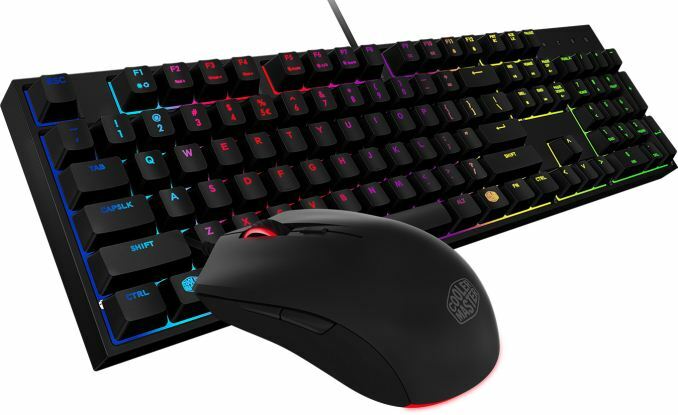 First off, we have a pair of Cooler Master’s MasterKeys Lite L Combo mouse & keyboard packs. The keyboard features a membrane switch variant that Cooler Master calls the “mem-chanical” switch, which is touted to offer more mechanical-like resistance, and which work with standard Cherry MX keycaps. Meanwhile the right-handed optical mouse is based around an AVAGO 3050 sensor and can switch between DPI settings on the fly. Finally, both peripherals feature RGB lighting, with both the keyboard and the mouse offering multiple zones. 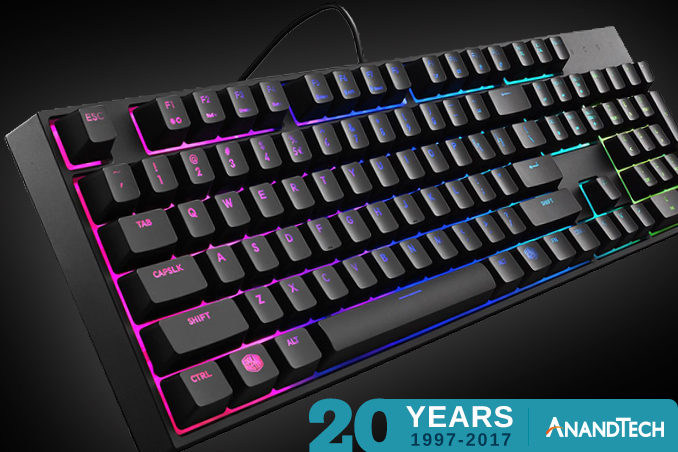 Along with the aforementioned combo packs, Cooler Master has also included a stand-alone mechanical keyboard, the MasterKeys Pro L. Based around Cherry’s MX switches, this keyboard augments its normal hardware with an additional 4 keys dedicated to profile loading. These profiles are in turn part of the keyboard’s programmable macro system, allowing for the quick programming and playback of keyboard macros. And of course, full RGB lighting is built-in, which in turn can be controlled by the aforementioned gaming profiles. 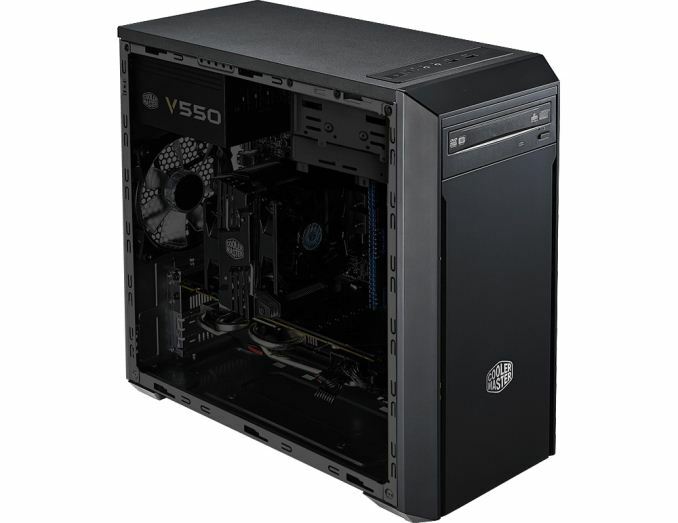 Third up is our first micro-ATX case of the AT20 giveaway, Cooler Master’s MasterBox Lite 3. Just recently launched, the MasterBox 3 Lite can accept micro-ATX or mini-ITX boards, and is just under 15 inches tall. Cooler Master advertises the case as a spacious mATX case, as it’s capable of holding video cards up to 13.5 inches long. The MasterBox Lite 3 comes with one 120mm rear fan pre-installed, and space for up to 2 more front intake fans. 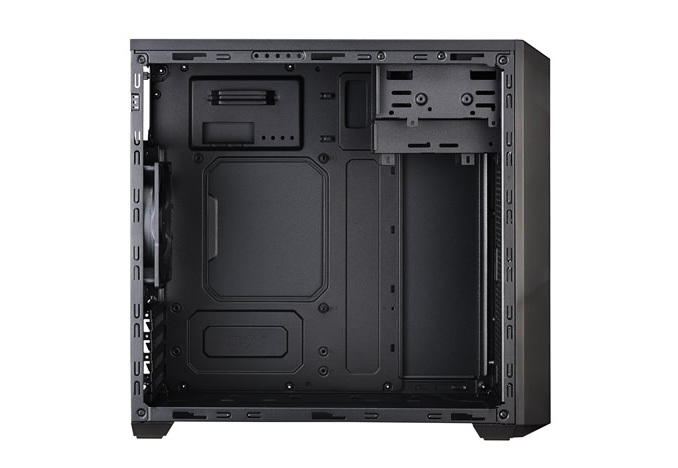 Meanwhile the case offers one 5.25 inch bay, a 3.5 inch bay, and a 2.5 inch bay for SSDs. Our final prize of the afternoon is a MasterLiquid Lite 120mm CLLC. The liquid cooler uses a dual-chamber design, dissipating heat via a standard thickness radiator, which is driven by a 120mm 66.7 CFM fan. The radiator itself does look a bit long, so be sure to check your measurements before installing, while the pump unit itself comes with adapters to work with all of the major sockets.